1. Micro-currant comb stimulate scalp. 2. 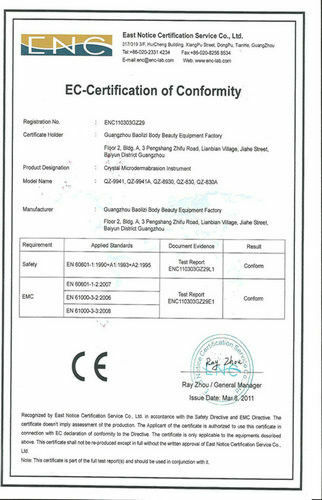 Ozone high frequency comb for hair sterilization and inflammation. 3. Small galvanic probe stimulates scalp absorb the hair tonic. 4. Spray gun shoot water mist promote the hair absorb nutrients. 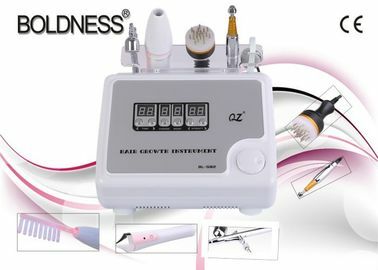 This instrument uses a bio-energy and ultra-pulse far infrared irradiation of light directly on the affected area of hair loss. light launched into the roots of the hair follicle, the role of multiple energy to activate shrinking hair follicle cells, improve the blood supply around the capillaries, the blood circulation around hair follicle accelerated to more oxygen , as watering to a small tree to make it grow fast . 2) Modularized assembling, strong stability. 3) Fully intelligent detecting system, avoid device damage caused by improper handling. 5) Comfort of painless, non-invasive, traceless, no recovery period. 6) High efficiency of short treatment time, quick effect, and long maintenance. 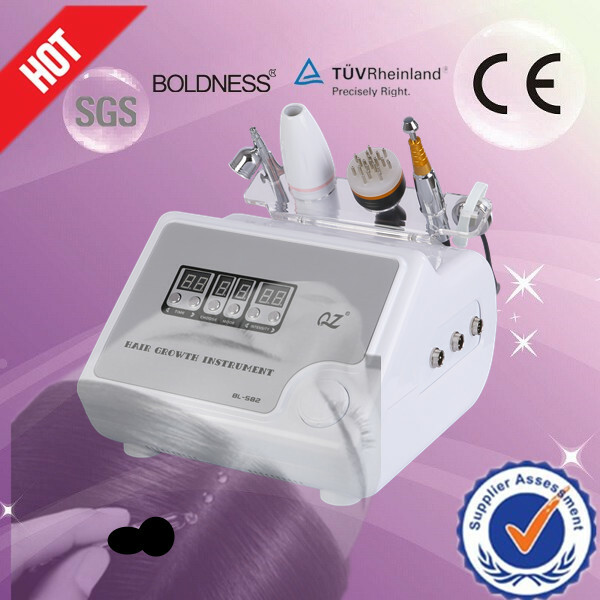 7) Ozone high frequency comb for sterilization, clean the hair follicle. TDP is an abbreviation for Chinese words "Teding Diancibo Pu". The essential component of TDP apparatus is therapeutic plate that is made from a mixed coat of more than 30 kinds of selected elements. Under a heat up to 200-400°C, TDP can produce a spectrum of electromagnetic waves carrying tens of elementary information and energy. It is of a comprehensive biological effect on organisms. TDP therapeutic apparatus has in China experienced many trials by hundred of research institutes, hospitals and universities. Hundreds of millions of people received TDP treatment clinically. TDP has been scientifically demonstrated to have effects such as dephlogisticate, detumescence, pain killing, itch relieving, ant diarrhea, lull, reducing ooze, invigorating blood circulation and diffusing extravagated blood, enhancing metabolism, promoting wound healing and epithelial growth, regulating physiological functions, and activating enzymes inside human body. Tests by authorities like the National Metrology Institute show that TDP has no side effects on human beings. TDP Heat Lamp can be used for the temporary relief of minor muscle and joint pain and stiffness, the temporary relief of minor joint pain associated with arthritis, the temporary in local blood circulation where applied, and relaxation of muscles. 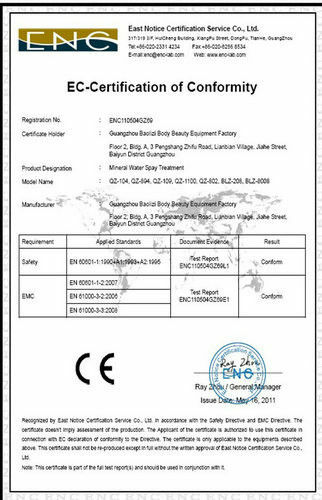 Stable quality Good quality, Complete specification. in addition, the Lamp may also help muscles spasms, minor sprains and strains, and minor muscular back pain. it can be widely used in clinic, and home health.